 The Club has four annual awards: A service award, a top photographer award, a club-wide points system award that leads to the Fellowship membership level and a Top-Ten award. From time to time other awards may be made for special occasions or situations. They are noted here also. This award was created in 2017 to honor the individual that has contributed the most to the success of the club through service. Selected at the sole discretion of the President from a group of members nominated by any member. The award is for service during a specific year. It is not a lifetime achievement award or the like. The award can not be won by the awarding President. No member may receive the award more than once in any five-year period. The award itself contains the names of all winners. It passes from winner to winner. The winner is given a certificate or other item to keep. This award was created many years ago to award the member who won the most points in Club photo contests. The winner of this award has the most points earned in JCC photography competitions, including quarterly and annual versions of Print, Monochrome, and Digital contests. Beginning in 2017, the award itself contains the names of all recent winners. It passes from winner to winner. Progressive Awards – A member who earns the required number of points during his/her membership shall be granted awards at the levels noted in the below table. Lifetime membership begins at the Fellowship level. Criteria for awarding points are covered in the Club's bylaws. This award was created to award the ten members who won the most points in Club competitions in each calendar year. The winners of this award are among the ten members who won the most points in JCC photography competitions, including quarterly and annual versions of Print, Monochrome, and Digital contests. This page is maintained by the Club's webmaster. Please report any errors or omissions to same. Thanks.